We’re having a HUGE warehouse clearance sale where you can get some amazing deals! How amazing you ask? 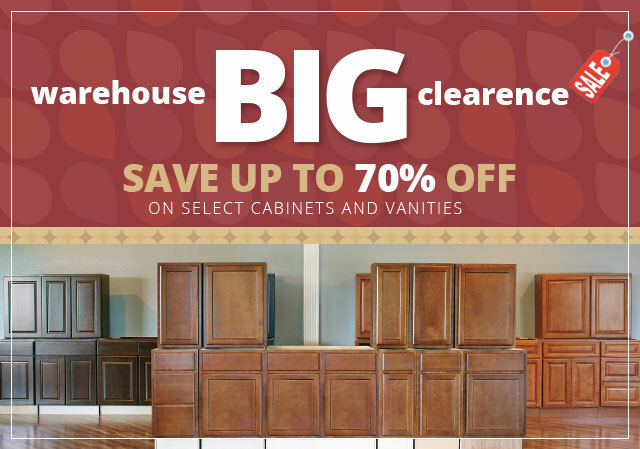 How about 70% OFF on select cabinets and vanities! Yes, it’s that amazing! So stop by our store at 2241 Grand Army of the Republic Hwy. Swansea, MA 02777 (see map) and give your kitchen and bathroom that much-needed facelift. 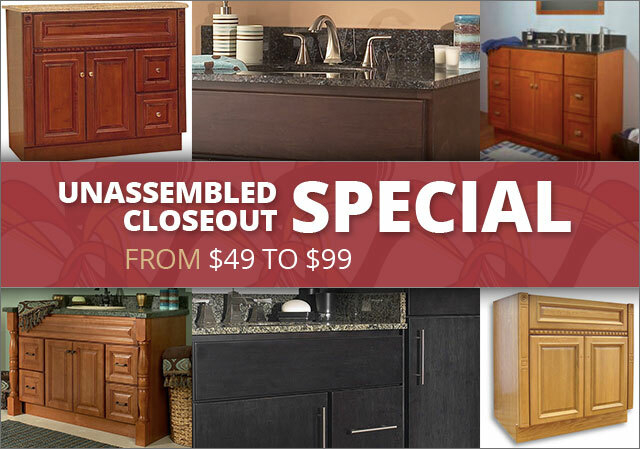 Swansea Cabinet Outlet is proud to offer a closeout special on our selection of unassembled quality vanities for under $100! That’s right, UNDER $100! This offer includes five styles to choose from including: Hampton, Jamestown, Newport Oak, Newport Birch and Princeton.